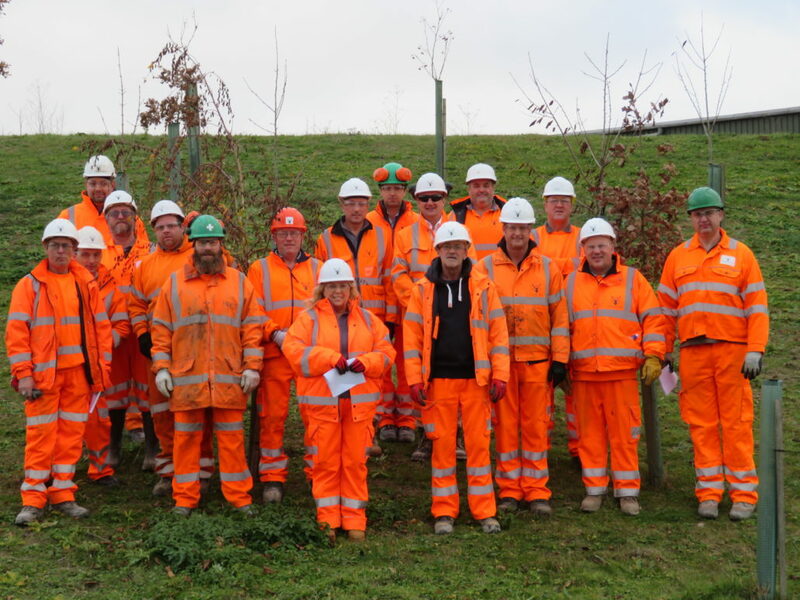 17 Safety Representatives from across the Raymond Brown Group took part in a Safety Training Day earlier this month at the A303 Enviropark. The Safety Representatives were appointed this year from across each of the group businesses and their role is to raise awareness in health and safety and to help improve safety culture across the sites. The training day was run by Heather McLintock, Health, Safety & Audit Manager, and its aim was to help recognise and control hazards within all aspects of the workplace environment as well as giving the representatives the opportunity to engage with each other and share feedback. The course covered responsibility, workplace equipment, site set ups, signage, near misses, incidents and injury types. The group were also given exercises on site which were focused around hazards and they were joined for lunch by Don Coates, Chief Executive Officer and Steve Clasby, Chief Operating Officer. The feedback received after the event was extremely positive, with representatives stating that it was both enjoyable and a good opportunity to meet other staff and managers and understand safety across the business, not just in their own working environment.